The United Nations World Food Programme (WFP) held today a special event to celebrate World Breastfeeding Week to highlight the importance of breastfeeding as key to children’s survival, nutrition and early development. Protecting and promoting breastfeeding is part of WFP’s Prevention and Treatment of Moderate Acute Malnutrition project that is funded by the United States Agency for International Development (USAID). The project supports the Government of Tajikistan in improving nutrition by providing access to nutritional support and healthcare. 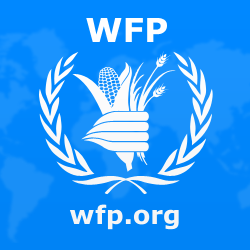 Over the coming four years, WFP – with USAID support – plans to provide specialised nutritious food products to over 24,000 malnourished children aged 6-59 months in more than 300 national primary health centres in Balkhi, Shahritus, Kulob and Dusti districts of Khatlon and Ayni district of Sughd. The Breastfeeding – Foundation of Life event was held in Kulob in cooperation with the Ministry of Health and Social Protection (MoHSP). Governmental counterparts, donors, partners and media attended the event that included short dramas, art competitions for children, and quizzes to test participants’ knowledge on the importance of breastfeeding. For the last 25 years, WFP has been providing food assistance in Tajikistan while building and consolidating a national social protection system for food security and nutrition. The Prevention and Treatment of Moderate Acute Malnutrition Project is one of the many assistance projects made possible by the American people through USAID’s collaboration with the Ministry of Health and Social Protection of the Population of the Republic of Tajikistan.